Join Terry Roberts, director of whole child partner National Paideia Center, in a free webinar on how the Paideia Seminar can provide educators with a consistent and powerful way to teach speaking and listening standards. In this presentation, Roberts offers educators an opportunity to zero in on these College and Career Readiness anchor standards for the benefit of all learners. Many educators forget that embedded at the heart of the Common Core State Standards are anchor standards for speaking and listening. This webinar will introduce the Paideia Seminar concept (a formal, intellectual dialogue facilitated with open-ended questions about a text) and how to use it in teaching the speaking and listening standards—while simultaneously enhancing students' ability to successfully read and write about demanding texts. Terry Roberts is a former high school English teacher and is a practicing scholar of American Literature and Cultural Studies with a strong penchant for the classics. He is fascinated by the social and intellectual power of dialogue to teach and to inspire. Roberts is the lead author of several Paideia publications, including The Power of Paideia Schools, The Paideia Classroom, and Teaching Thinking through Dialogue. 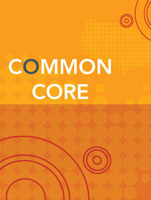 This webinar is a part of ASCD's free Common Core webinar series designed to help your school or district understand and implement the Common Core State Standards. Sign up for one or all of these webinars and view archived presentations at www.ascd.org/commoncorewebinars.